How does the Universal Living Wage Calculator work? The Universal Living Wage calculator is based on the US Department of Housing and Urban Development (HUD) standard: no more than 30% of a person's gross income should be spent on housing. 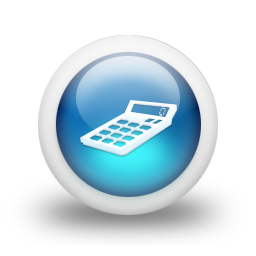 To calculate by hand, find your FMR (Fair Market Rent) for the size of your housing found on the HUD website and use the figures to calculate your Universal Living Wage or simply use our calculator. Work hours: 40 hours/week @ 4.33 weeks/month = 173.33 work hours/month, 173.33 work hours X 12 months = 2080 hours/year. HUD Fair Market Rent: $(A) FMR for an efficiency, one, two, three or four bedroom apartment in your city. $(A) FMR divided by .3 = $(B) _______ monthly gross income necessary to afford basic housing. Total Gross Monthly Income of $(B)_________ X 12 months = $(C) ___________ . $(C)___________. $(C)___________ divided by 2080 hours per year $______ per hour. New hourly wage is _____________ per hour. * Whether a person works 4 hours per week or 40 hours per week, they should be paid at the full 40 hour rate. A full hours work deserves a full hours wage. ** Minus $(d1) _______ for Federal Income Tax, $(d2)_______for Social Security, and $(d3) _______ for Medicare. The Federal Income Tax rate (15%) is based on the monthly deductions outline in the Internal Revenue Circular E, Employers' Tax Guide (Rev. Jan, 2000), Social Security is 6.2% of gross monthly income, and Medicare is 1.45% of gross monthly income (Total equals $(D) _______ ). After choosing which state, you will choose your region and number of bedrooms. Choose 0 bedrooms for an efficiency or studio apartment without a bedroom. How much must you earn to afford the rent? We have devised a national formula that is based on each local economy throughout the entire United States. The formula is designed in such a manner that no matter whether you live in Austin, Chicago, Los Angeles, etc., if you are willing and able to work a 40-hour week, you should be able to afford an efficiency apartment on no more than 30 Percent of your gross monthly income. Work a minimum 40-hour week. Spend no more than 30 percent of your gross income on housing. Index the Living Wage to the local cost of housing, as set each year by the US Department of Housing and Urban Development (HUD) in its Fair Market Rents (FMRs).